The Violin Shop: Goffriller Cellos. For Cellists- Goffriller > Stradivarius? Goffriller Cellos. For Cellists- Goffriller > Stradivarius? We've written several times about Stradivari's cellos. As beautiful as these instruments are, many are not in their original condition. Stradivarius made BIG cellos for much of his life and most of those big cellos have been 'cut down' to make them more playable for a modern concert cellist. Matteo Goffriller, worked in about the same period as Stradivarius (1670s-1742, for Goffriller; 1670s -1737 for Straidvarius), but made a number of smaller cellos throughout his life. 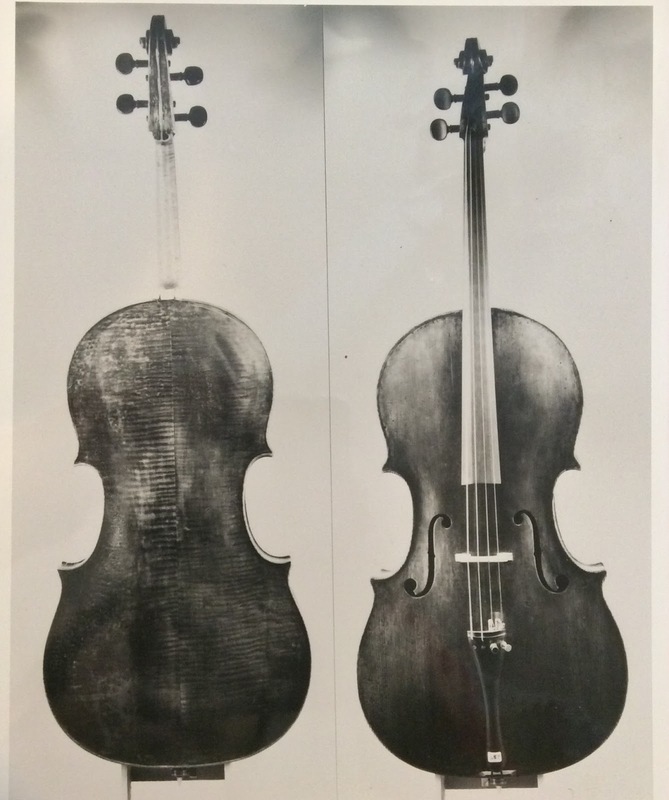 An uncut 1728 Goffriller cello has a back length of 757mm, as opposed to the 794mm of the Lord Aylesford Stradivarius. However, Goffriller's instruments vary greatly since he made every instrument to order. His cellos are smaller or larger, and made from better or worse quality materials depending on who it was made for, what type of sound they wanted, and how much they were willing to pay. Ahh, some things never change! Matteo Goffriller was one of the first great Venetian makers and was incredibly influential. He established the Venetian school of instruments, which is known particularly for its beautiful red varnish. Goffriller influenced several prominent luthiers including Domenico Montagnana and Pietro Guarneri of Venice. Goffriller's work was unrecognized for hundreds of years, partially due to the mislabelling of his cellos as Stradivaris, Guarneris, and particularly Bergonzis. This is because almost all his instruments were originally unlabelled to avoid Venices' taxes and the strict rules of the craft guilds. However, today, his work is highly esteemed and widely recognized. Several cellists even prefer to play Goffrillers over Stradivarius cellos, including Pablo Casals. He played a 1733 Gofriller for the majority of his recordings and performances. For many years, the cello was kept by Casal's widow, but it was recently loaned to Amit Peled, an Israeli-American cellist. Peled originally met Marta Casals, Casals' widow, simply to talk and play a few pieces for her on his own cello. However, she was impressed and offered Peled the chance to play Casals' 1733 cello. Like any cellist given that opportunity, he found the experience surreal. He said, "I was shaking when the door was opened and Marta handed the case to me. Should I open it myself? What if it breaks when I touch it?" Thankfully, Peled did not break it, but instead played "Prayer From Jewish Life" by Bloch. A few weeks later, Peled was offered the cello on loan. Since then, the cello has undergone a huge restoration and is now in much better condition. In addition to the repairs done to its physical condition, Peled has "woken up" the musical sound, which he said was like waking up an old sleeping man. He calls the cello "Pablo" and has since played many concerts with it, even recreating a few Casals concerts almost 100 years later. You can read about the incredible journey Amit and the cello he calls "Pablo" have made together in his picture book "A Cello Named Pablo". 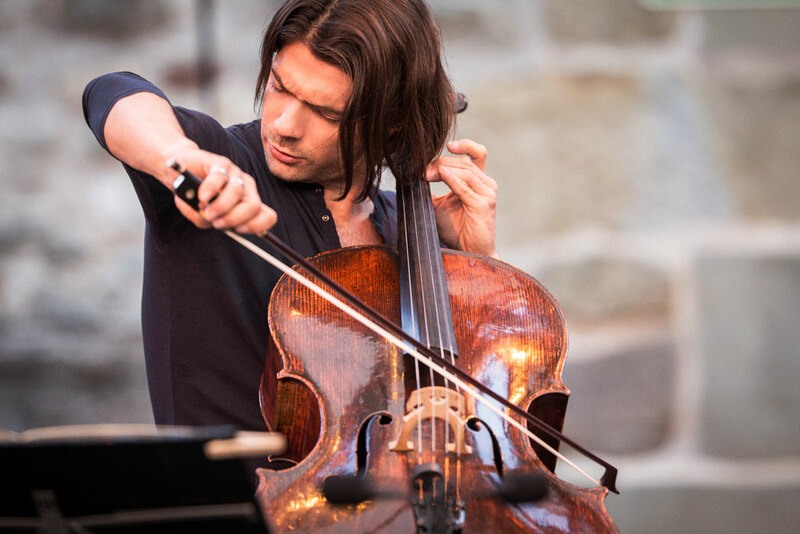 Among other prominent musicians that prefer Goffrillers is Gautier Capucon, who has performed with the Gewandhausorchester Leipzig, the Wiener Philharmoniker, Orchestre de Paris, and the San Francisco Symphony Orchestra. Matt Haimovitz plays a 1710 Matteo Goffriller, which recently needed some repair. In 2017, while teaching a lesson, Matt Haimovitz lost his balance and fell while holding his cello. The Goffriller's neck broke off, but he continued teaching for another 90 minutes! Afterwards, he took his cello to New York to be fully restored. Some musicians would even choose a Goffriller over a Stradivarius. Janos Starker played the Lord Aylesford Stradivarius before switching to a 1705 Goffriller. He said “For fourteen years I played a Stradivarius, but I always had to adjust to it...[The Goffriller] is a cello that adjusts to me." For me (Andy) Goffriller cellos hold a special place. Janos Starker was kind enough to let me study his Goffriller cello after one of his concerts and the above Goffriller cello is one of the first cellos I studied in depth. Other cellists with Goffrillers are Sara Sant'Ambrogio, Colin Carr, Jean Bedetti, Daniel Mueller-Schott, Robert deMaine, Timothy Eddy, Anthony Ross, and Richard Hirschl. By the way- A note to any and all instrument geeks- DON'T tell the soloist how much you like their instrument and can you please take a look at it. RUDE! Compliment the artist on their musicality (OK, gush over their musicianship!) and then, and only when the musician is comfortable with you in their presence, introduce yourself as a student of instruments and politely ask to see their instrument. And if they say "No", leave it at that. Not every great artist is comfortable with a stranger pawing their incredibly valuable instrument they make their life and living with. Personally, I (Andy) prefer the very late Stradivarius cellos that were made on his 'Violoncello Piccolo" form or "Forma B Piccolo". They are in the range of about 742mm for a body length. Easy to play and that great Stradivarius sound. But there aren't too many of them around, and even fewer that are on the market or available to play. So, a next best choice, and for some an even better choice, will be the wonderful Goffriller cellos. Zuill Bailey performs on the "rosette" 1693 Matteo Gofriller Cello, formerly owned by Mischa Schneider of the Budapest String Quartet.